Autoimmune disease doesn't exist in a bubble. Its onset changes our own lives dramatically, but it also impacts our relationships. 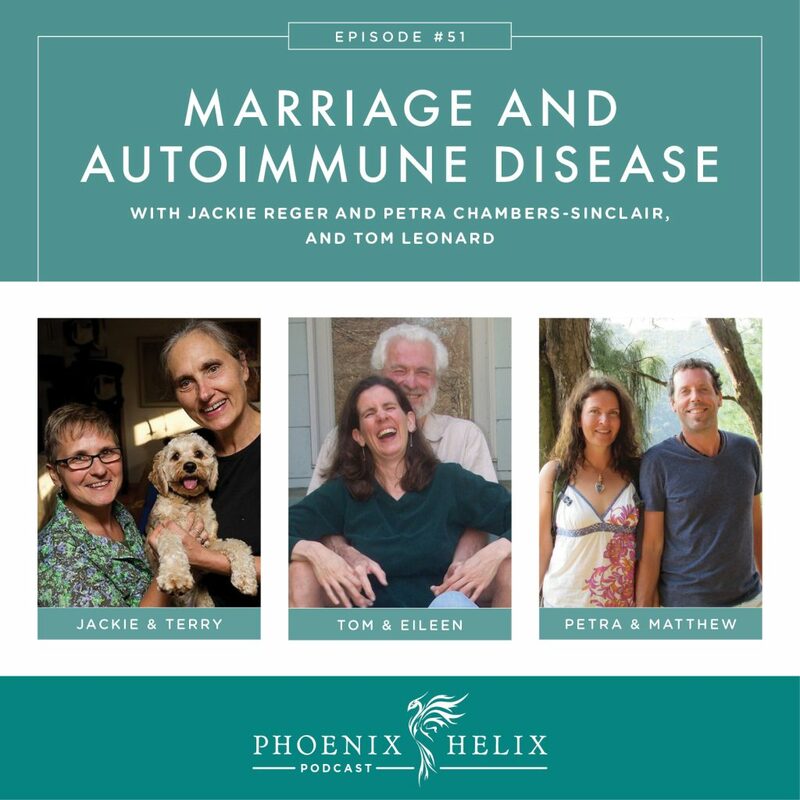 In this episode, I interview three spouses of people with autoimmune disease, including my own husband Tom. We talk about what it's like to be married to someone with chronic illness, how they try to support the person they love, and how they also make sure they don’t get lost in the equation. They also sell pastured chicken bone broth. If you’re looking for homemade bone broth recipes, I have those too: 24-hour traditional method and 2-hour Instant Pot method. Jackie Reger is the wife of Dr. Terry Wahls. Terry has multiple sclerosis (MS) and is a physician and author of The Wahls Protocol. Jackie is a nurse practitioner, so when Terry started to develop foot drop, she was the one to suggest that Terry see a doctor. Still, the diagnosis came as a shock. Terry declinied rapidly in spite of the best medicine available. Within 3 years, she was spending most of her day in a wheelchair with the fear that she would soon be bedridden. Jackie and Terry were mothers of 2 young children at the time. In the beginning, the children were too young to understand what was happening. The biggest impact on their life were Terry's neuropathic face pain episodes, that were so intense the children couldn't be near her when it was happening nor could they make any noise. They also noticed Terry started to tire more easily and couldn't play with them in the same way. As they got a little older and Terry's symptoms progressed, Jackie and Terry sat them down and had a formal conversation explaining the diagnosis. The entire family was very active and outdoorsy, so it was a big change when Terry's abilities began to decline. However, they tried to adapt as a family to still enjoy activities together, making modifications for Terry. When she could no longer hike and bike, they spent weekends camping at a pond, where Terry could swim with the family. Terry changed her diet slowly in steps to what eventually became the Wahls Protocol, and her family changed their diet in stages as they watched her improve. First, they eliminated fast food, then gluten and dairy, and then eventually went paleo with the focus on nutrient-density and 6-9 cups of vegetables daily. Since the kids were young, it was hard for them to lose some of their favorite foods. Jackie's diet when away from home isn't as strict as Terry's, but it's much healthier than most of her coworkers' diets. Jackie's survival tactic as a caregiver was to simply live in the moment – hoping for the best but not attached to expectations. It surprised everyone that Terry was able to not just stop her decline but regain so many abilities she had lost. Within a year on the Wahls Protocol, she had left her wheelchair behind and started bicycling again. That said, Terry still has MS, and Jackie says they have to be careful. Terry recently fell in the middle of the night on her way to the bathroom, resulting in a concussion that was scary for the entire family. She is healing well, but it reminded Jackie that she can't get complacent. Jackie doesn't like to make plans far into the future, since that has led to disappointments in the past. Jackie has also helped Terry with stress-management over the years, being a sounding board regarding work-life balance: when to travel, when to accept and decline speaking engagements, how much is too much. A key to Jackie's sanity and self-care over the years has been her love of mountain biking. It's her time alone, her time in nature, her stress relief, her exercise, and it requires complete focus so it's meditative as well. She always feels better having biked and commits to doing this regularly. If she gets “too busy” and stops taking this time for herself, she suffers. Jackie's advice for caregivers: (1) Live in the moment as much as you can. (2) Keep humor in your life and in your relationship. It's OK to laugh about things that are hard. (3) Look after your own health as well. (4) Take 30 minutes a day for yourself, and choose an activity that completely takes your mind off your worries. For more information on Dr. Wahls and the Wahls Protocol, I recommend her book, her website, her foundation, her TED Talk, and my Wahls Protocol Series of articles, interviews and podcasts. Petra Chambers-Sinclair is the blogger behind Biohack U, where she writes about her own health journey and that of her husband, Matthew, who has psoriasis and psoriatic arthritis. 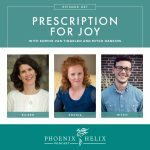 I interviewed Matthew in Episode 48 of this podcast: Medication Decisions. When Petra met Matthew, she knew he had autoimmune disease, but his symptoms were in remission, so she didn't fully understand what those diagnoses could mean for their life together. The toughest moments in their marriage were: (1) When his psoriatic arthritis flared, and his doctor put him on prednisone. It relieved the pain, but he developed prednisone psychosis – a rare side effect of the medication. For 5 months, she felt like the husband she had married was gone and in his place was someone who was paranoid, angry and unpredictable. Thankfully, this condition disappeared once he had successfully tapered off the prednisone. (2) When Matthew's pain was at its worst, he discovered that living in the city exacerbated his autoimmune symptoms. For 3 years, they maintained two residences – one on a rural island for Matthew, and the other in the city where Petra worked and the children went to school. It was a strain financially and emotionally, as Petra needed to commute between their 2 homes. Not only was Petra supportive of Matthew's experiments into healing diets, he couldn't have done them without her. When his symptoms were at their worst, he was in bed 18-20 hours a day and couldn't cook for himself. He also had debilitating brain fog and wouldn't have been able to do the research or meal planning. So, she took the lead and transitioned the entire family to the same diet. The one that works best for Matthew is a Low-FODMAP version of the Paleo Autoimmune Protocol. Not only has Petra been a primary caregiver for Matthew at certain points in her marriage, she was also the primary caregiver for their children, and she worked full-time to support the family. That's a heavy load. Here's how she managed it: (1) She felt that Matthew's illness itself was more devastating for the family than putting an effort toward a solution. (2) Petra actually hates cooking, so she keeps it very simple. She has a weekly meal plan of recipes everyone likes, and she repeats it with only minor adjustments each week. (3) She also believes advance preparation is essential and while it takes time up-front, it saves time during the week. So, she batch cooks on the weekends and does any extra dinner prep in the morning, before she leaves for work. (4) Lastly, focusing on her job and her children helped keep her from feeling completely consumed by Matthew's illness. Their efforts have paid off. Matthew's health has improved dramatically. He has been able to return to their shared city home and also go back to work full-time after 2-1/2 years on disability leave. His pain is now minimal, and his psoriasis is negligible. He still has nausea, but less than before. And he still has some fatigue, although much less than before. He's working with a functional medicine practitioner on these remaining issues. Petra feels that their shared struggles surrounding Matthew's health has required them to grow as people and while the process was hard, and there were many painful moments, she loves who they are now. She said they've learned through experience to communicate clearly with each other, to have healthy boundaries and to leave co-dependency behind. Petra's advice to caregivers: Be realistic about the situation and put your efforts towards those areas you can control, which in the end, is really just yourself and your own actions. You can't control your spouse's illness or your spouse's behavior. All you can do is make choices to support your own health so you can be as strong and healthy as possible for whatever comes next. This was a lesson she learned the hard way. She did sacrifice her needs for that of her family for many years, and she's now recovering from severe adrenal fatigue. 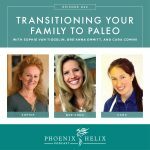 What Petra does to take care of herself now: She prioritizes those activities that restore her – yoga, connecting with nature, earthing, and eating a nutrient-dense diet herself. I'm Eileen – the host of this podcast – and I have rheumatoid arthritis (RA). I asked my husband, Tom Leonard, if I could interview him for this episode. It was the toughest interview I've ever done, because it's not just “close to home” – it is literally my home. But I'm very grateful to have had this conversation. Tom plays the guitar at the start of my podcast and sings the closing song as well, so if his voice sounds familiar – that's why. I've been on a healing diet for 4 years now, and it was a big change from the way we used to eat. I asked Tom his reaction – at first he thought the food restrictions were simply impossible. But he also thought it was worth trying to reduce my pain, and he was willing to do it alongside me to support me and see if it would improve his own health at the same time. When it did improve my symptoms, it was beautiful to see. It also turned out the diet was easier to follow than he expected. I'm a good cook, and we eat delicious food. 🙂 The biggest change for us has been the loss of convenience – no more takeout on a busy night, and we rarely eat in restaurants. We do a lot more meal planning and food prep. We're also strong partners in our food preparation. He does the grocery shopping and vegetable chopping, I do all of the cooking, and we share doing the dishes. 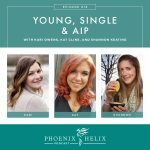 We talked about how autoimmune disease takes center stage in a marriage, but it doesn't have to take over the whole stage. 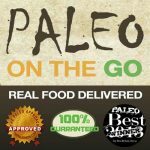 We love to travel, and we choose vacation destinations based on the availability of paleo food now, but we don't let that keep us from traveling. We make sure we prioritize joy, new experiences and spending time together. For tips on traveling on healing diet, listen to Episode 25. Tom would like me to talk about rheumatoid arthritis less, and I admit that's hard to do. In Episode 50, my guest Kerry Jeffery said, “The thing that people who don't have chronic illness don't understand is that chronic means it's with you always, in one form or another.” And that's true. Yet, my husband has a point that life is better when it isn't all I see. I wrote about that in this article: When Does Pursuit of Health Become a Health Obsession? As a blogger, it's even more challenging, but I'm working on this. I want a balanced life. When I asked Tom if I ever overlooked his needs, he wrote a song which is included in this episode. Tom's advice for couples where one has just been diagnosed with autoimmune disease: (1) Read the Simple Guide to the Paleo Autoimmune Protocol. (2) Don't forget to have fun. (3) Focus on what you can do, rather than what you can't. While autoimmune disease changes lives, it doesn't have to steal all the joy from life. Choose to live from a place of gratitude, rather than feeling like a victim.